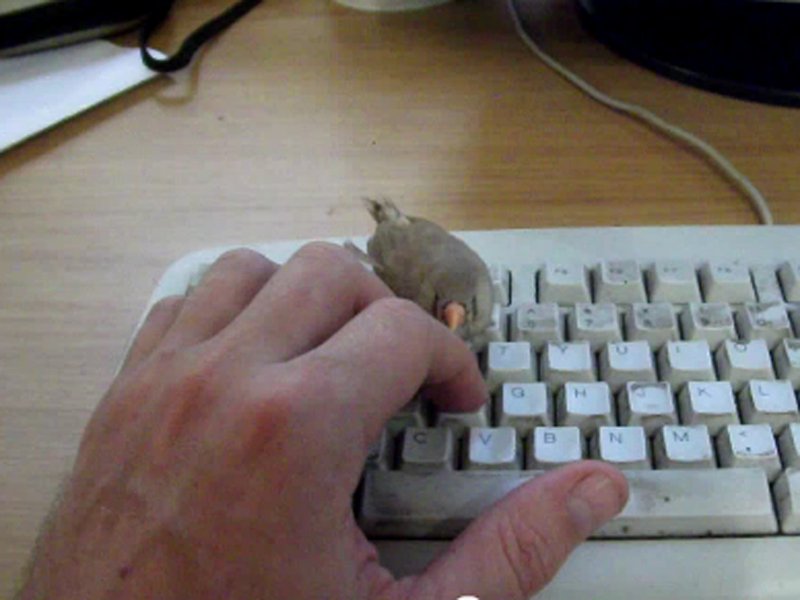 (CBS) - Are you ever at work, just typing away, when your tiny pet Zebra Finch decides to interrupt the flow and huddle under your hand? Yeah, me, neither. But for the guy in the above video, it's supposedly a common occurrence. My pet zebra finch, Funky, usually roams free around our office, but she always ends up in or under my hand, even while I'm typing. Who here now wishes they had a Zebra Finch as a pet? I know I do!